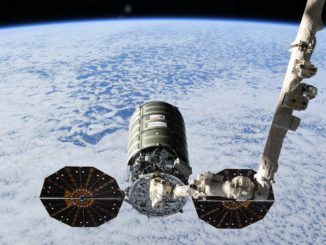 A commercial airlock built in partnership by NanoRacks and Boeing will be connected to the International Space Station in 2019, the companies announced Monday, after the proposed project won preliminary approval from NASA managers. NanoRacks plans to deploy small commercial satellites and CubeSats from the airlock, reducing the workload currently occupying time on the smaller equipment airlock inside the Japanese Kibo laboratory module. Only half of the Kibo airlock’s capacity is allocated to NASA and commercial clients — the rest goes to Japan. 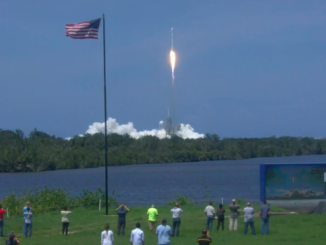 NanoRacks has arranged for the launch of more than 375 payloads to the space station since 2009, including more than 100 CubeSats released from a deployer mounted on the end of the Japanese robotic arm outside Kibo for commercial customers, universities and NASA. Houston-based NanoRacks also has an external platform outside Kibo, where scientists can test sensors, electronics and other equipment in the harsh environment of space. The privately-funded commercial airlock will launch inside the unpressurized trunk of a SpaceX Dragon cargo craft, then attach to a port on the station’s Tranquility module with the Canadian-built robotic arm. Another commercial module is already to connected to Tranquility. The Bigelow Expandable Activity Module, or BEAM, launched to the station in April 2016 under a NASA-funded contract. Developed and built by Bigelow Aerospace, the soft-sided module expanded to full size in late May after bolted on to the Tranquility module. 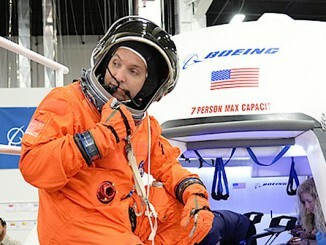 BEAM is on a two-year demonstration to test the performance of an expandable module in space, but Bigelow and NASA are in discussions to extend the module’s presence on the station longer. 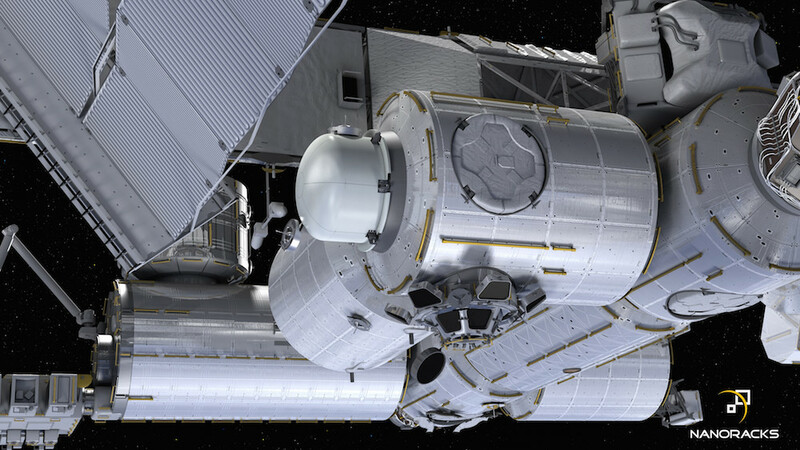 NASA and NanoRacks signed a Space Act Agreement for the airlock project last year. The space agency announced Monday that it has committed to install the airlock on the station once NanoRacks completes pre-agreed financial and technical milestones outlined in the agreement. The new airlock will triple the number of small satellites that can be deployed in a single cycle, according to Boeing. 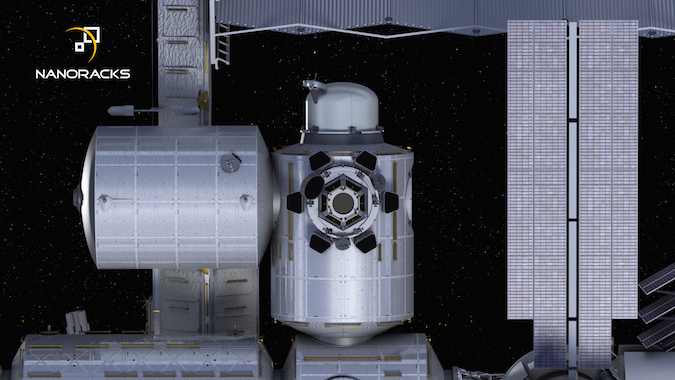 Astronauts inside the station will also be able to assemble payloads from components delivered to the complex in bags, then put them through the NanoRacks airlock, which can handle larger packages than the sizes supported by the current Kibo passageway. Boeing is providing the passive common berthing mechanism, a connecting ring to install the new port on the Tranquility module, plus unspecified engineering services required for developing and manufacturing of the airlock, according to NanoRacks. Boeing is also NASA’s lead contractor for the entire space station, providing engineering support for all of the lab’s U.S. modules. NanoRacks said the airlock could be detached from the ISS and placed on another platform in orbit. The airlock module will be assembled and tested by NanoRacks, which is also responsible for the design, safety, operations, quality assurance, mockups and crew training, the company said in a statement. ATA Engineering of San Diego will lead structural and thermal analysis and testing services for the airlock project.